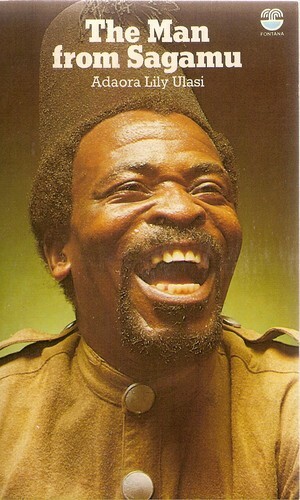 The only photo I found of Ulasi via Wikipedia. 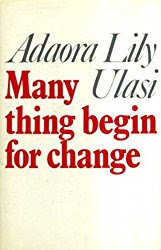 Up next in my celebration of Nigerian women writers is Adaora Lily Ulasi, who between 1970 and 1978 published 5 books - Many Thing You No Understand (1970), Many Thing Begin For Change (1971), The Night Harry Died (1974), Who is Jonah? (1978), The Man from Sagamu (1978) - all of which (as far as I am aware) are out of print. 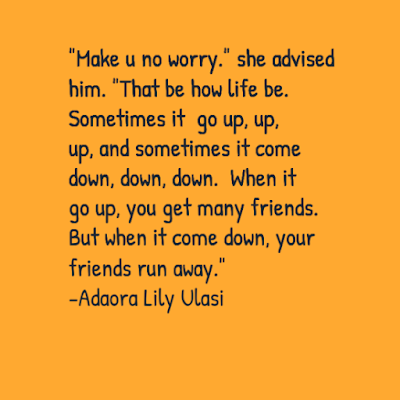 Although I've heard of Adaora Lily Ulasi, I didn't know much about her and her works until I started researching for this post. To be honest, one of the reasons I'm celebrating women writers is to be able to learn more about writers who I know little to nothing about. 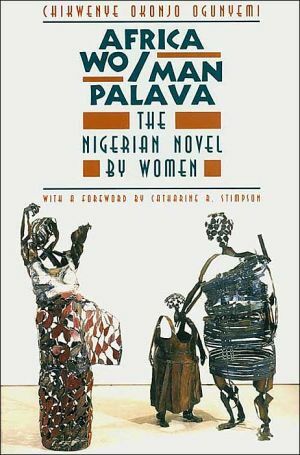 In her chapter on Adaora Lily Ulasi - in the 1996 book Africa Wo/Man Palava: The Nigerian Novel by Women - Chikwenye Okonjo Ogunyemi describes Ulasi as 'the most misunderstood writer from Nigeria', particularly as 'she does not appear interested to throw a little light on her life or her works' (p183). Later in the chapter, Oguyemi explains how Ulasi is in 'the limbo of forgotten writers, whose books are rarely read' (p195). 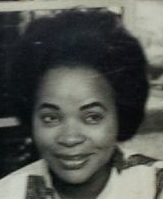 The little that does exist on Ulasi (and a lot of which I got from Ogunyemi's book) sheds some light on this fascinating woman who was said to be the first West African woman to obtain a degree in journalism and worked in a predominantly male world at the Times complex in Lagos. For Ogunyemi, Ulasi did more than that, and with her 'conflation of mystery and juju' (p184) writes in a genre Oguyemi terms 'juju fiction'. 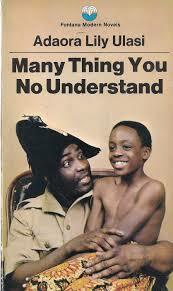 What is juju fiction? Ulasi also experimented with language, writing in pidgin - although it was 'anglicised to make the dialogue accessible for her European audience' (p190) and often referred to as 'terrible pidgin' (p191). Basically Ulasi's works sound like the perfect combination of my kind of read - and I am on a mission to find them. Although it does seem like there are a copies of her books available on Amazon, if anyone has leads of where I can get them please do share.